New data plan from Audi and T-Mobile will provide Audi drivers with in-car WiFi connectivity for as little as $15 per month. 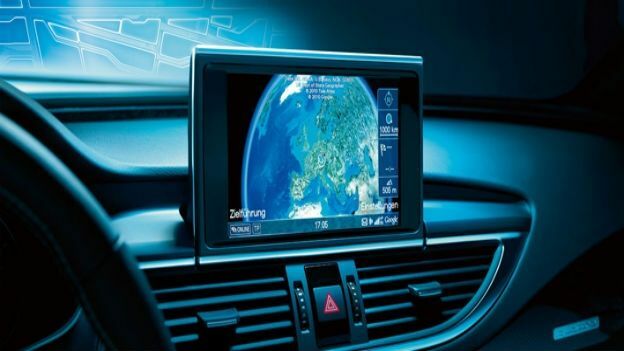 Audi owners will be granted access to features such as Google Earth, weather and fuel prices, real-time news and Google Voice Local Search over the Audi connect infotainment and navigation system. The official press release states that, "Passengers in models featuring Audi connect can enjoy broadband connectivity for up to eight devices." The deal from Audi and T-Mobile means owners would pay $450 upfront for a 30-month plan, which works out at $15/month. Buyers can also opt to pay on a monthly basis for a cost of $30/month. Anupam Malhotra, senior manager Connected Vehicle, Audi of America says, "The T-Mobile-powered Audi connect service delivers unmatched connectivity to our customers at a rate that will turn their Audi into the ultimate mobile device." A leading national customer satisfaction survey showed that Audi buyers put the Audi connect service as the second largest factor for their purchase - behind design and ahead of engine performance. Launching Audi connect in 201,1 Audi were the first global auto manufacturer to offer factory-fitted in-car WiFi and the company has a goal to deploy one million connected Audi vehicles on the road worldwide by 2015. One of the models to contain the SIM card based Auto connect WIFI hotspot is the Audi A3, released at the end of 2012.